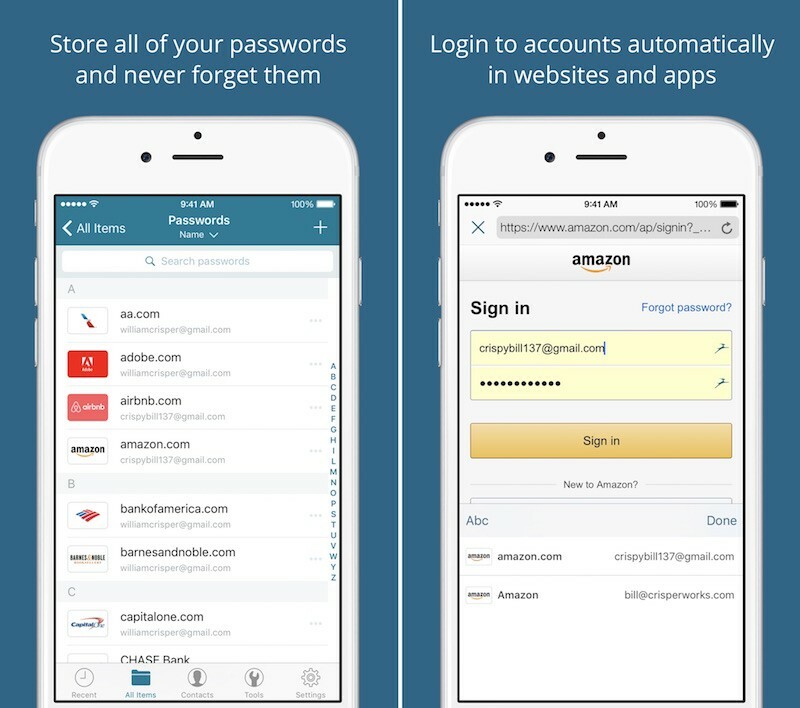 Dashlane today announced a revamped version of its iOS app that will allow for streamlined navigation to make finding passwords and other secure information "easier than ever." Notably, the overhaul encompasses all of Dashlane's current Apple apps, including the ones for iPhone, iPad, and Apple Watch. Users can expect the usual services from Dashlane's new app -- like Password Changer and Password Sharing -- in addition to a list of new features, including a new accessibility option that brings font adjustment to the app. The iPad version of Dashlane is also finally getting the Password Changer feature, letting users easily change weak passwords on Apple's tablet. The improvements to navigation include a Quick Search function, a tabbed-bar menu, easier sharing with a new "Contacts" view, and a "Recents" tab so users can quickly jump into the passwords and information they check frequently. The company has also improved Safari integration to offer a better experience when auto-fill and auto-login options are available. Apart from these upgrades, Dashlane hasn't altered its payment structure: the experience is free when limited to one device, while a Dashlane Premium subscription ($39.99 per year) is required once users want to sync data across "an unlimited number of devices." I still can't figure out which is the better choice. Dashlane or LastPass... Any suggestions. There is a huge price difference, but I can't see why. Dash lane seems to get higher reviews, but is it really worth the $28 price difference? I have left 1Password due to horrible support. They just take your money and leave. So I figured I would move on to one of the top 2 subscription based password apps. Any feedback is appreciated. Thanks. I'd be interested in your personal experience with 1Password. I've been using it for a couple of years now and they've been pretty receptive to bugs I've particularly noted and paid updates have been relatively fair.